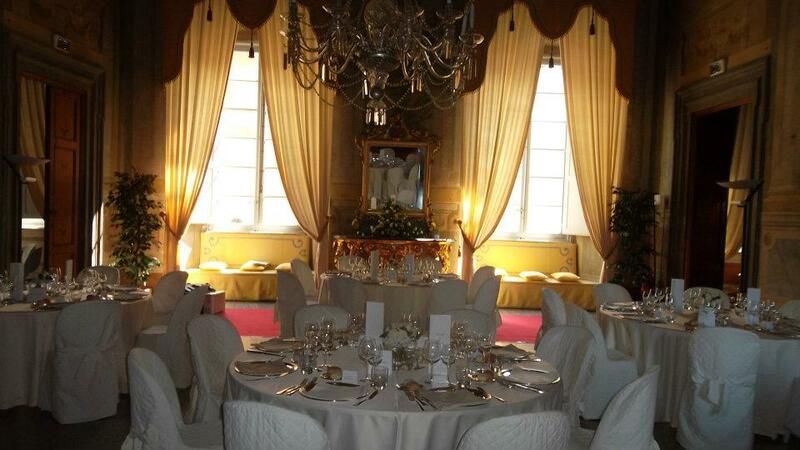 Wedding in a palace in Lucca | Luxury Villas in Tuscany | Alessia B. The beautiful city of Lucca is situated north-west of Florence in the greenery of the Tuscan countryside. As soon as you enter the city, you’ll catch sight of the majestic city walls, which date back to 1600. Accessible for a 4 km walk, they offer a panoramic beautiful stroll around the old town centre. 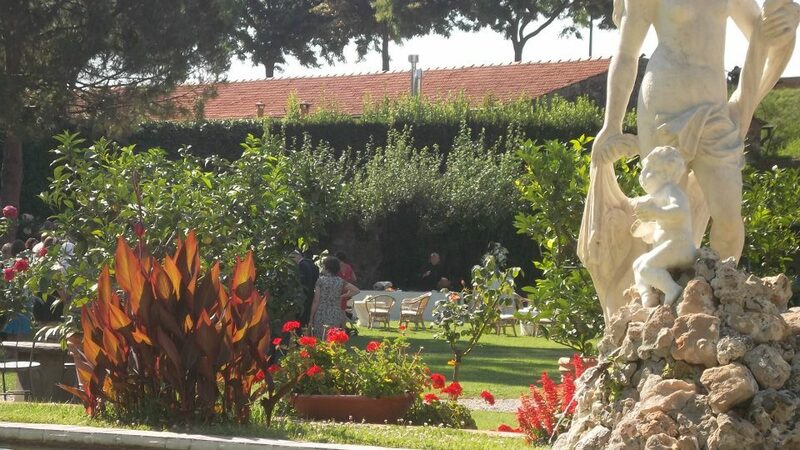 From the majestic walls you can enjoy the view of the gardens of a legendary and captivating historic palace, a wonderful location for weddings. 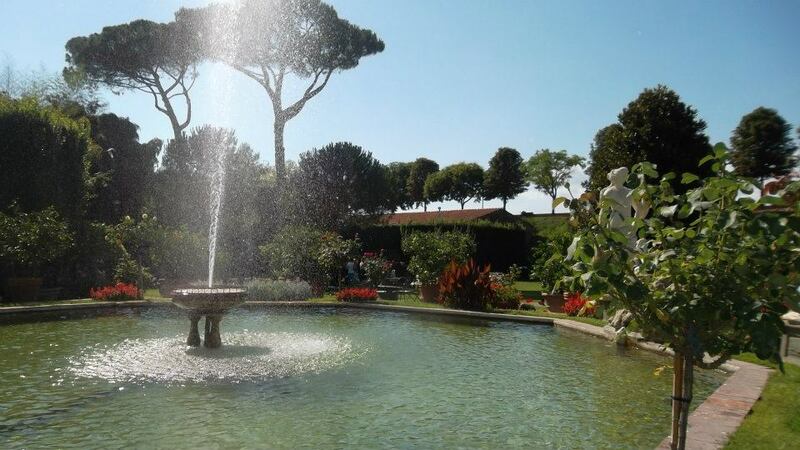 The palace’s garden is a classic example of the typical Italian garden, realized according to the perfect harmony of proportions and divided into small paths and fascinating eighteenth-century statues representing mythological characters. This magic atmosphere, dipped into the green, is perfect to enjoy aperitifs and cocktails, while, during the hotter season, surrounded by lemon trees, it becomes the ideal location to set up the wedding dinner and enjoy the reinvigorating summer coolness. For those who would like to, guests can also be welcomed into the beautiful chief hall in the interior of the palace, decorated with eighteenth-century frescos. The hall doesn’t leave any detail to chance: the furniture, the fabrics and the painted walls are dedicated to refinement. The hall can hold up to 100 guests. At a short distance from the dwelling you can see San Frediano’s Basilica, perfect for religious weddings. 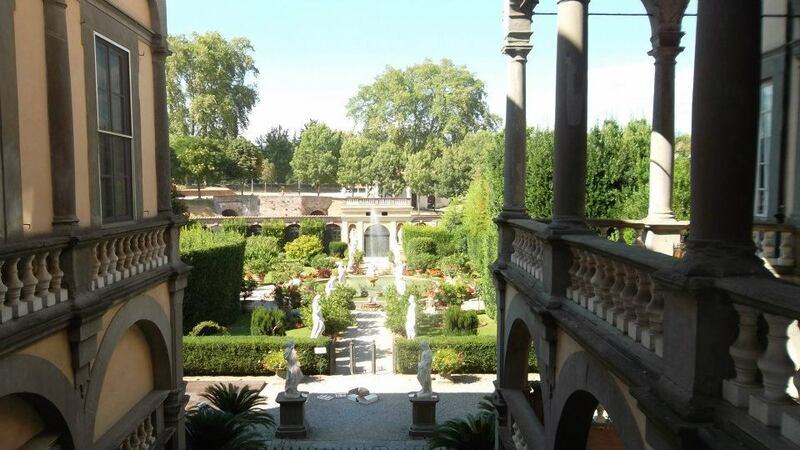 The Palace dates back to 1670, the year when the noble merchants from Lucca commissioned its realization. In 1680 the sumptuous Baroque palace became property of another important family of merchants from Lucca. 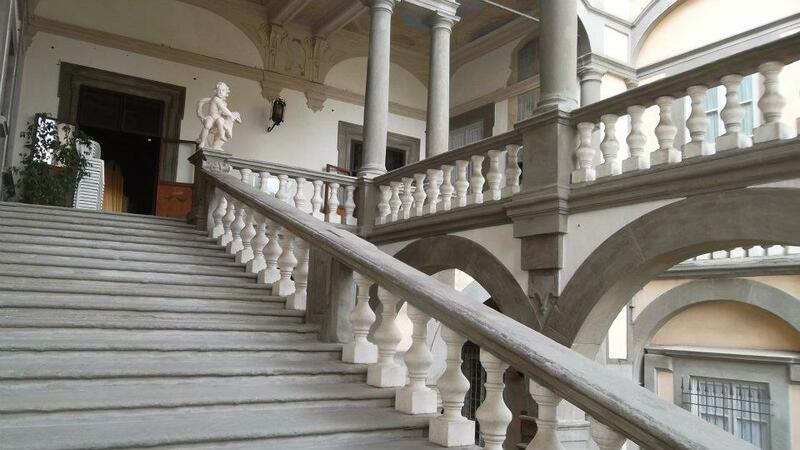 The new owners extended the building, adding to it in 1686 the Scalone Monumentale (a majestic stair). The current owners, brewers of Austrian origin, purchased the building in 1846 and established their alehouse in it; later it became the first in the Dukedom of Lucca and one of the first in Italy. The historic alehouse, situated between the garden and the cellars of the Palace, was closed in 1929. The suggestive architectonic setting has been chosen many times as location for cinematographic events. In this wonderful building, in fact, were filmed movies like “The Marquess Del Grillo” by Mario Monicelli (1981), with Paolo Stoppa and Alberto Sordi; “Arrivano i Bersaglieri” by Luigi Magni (1980) and “Portrait of a Lady”(1996) with Nicole Kidman and John Malkovich.